The Huntington Beach Marketing and Visitors Bureau (HBMVB) recently announced the release of their new all-inclusive dining guide for Huntington Beach, CA. The book reportedly reflects the laid back, eclectic style of the city, providing an insider’s look into the best restaurants in the city. It was written as if a friend was recommending restaurants, with the reader in mind. Straight from the mouths of the Huntington Beach locals to the book, it tells you the inside scoop and features a “Meet the Locals” section, recipes in “Compliments of the Chefs,” “Grab and Go” fast-pace places to eat and “Setting the Scene” in order to find the exact atmosphere you’re looking for. From the new and trendy dining to the high-end classics and hidden gems, this book covers it all. The first ever Huntington Beach Dining Guide, includes a list of over 275 Surf City USA restaurants and is available at the Huntington Beach Marketing and Visitor Bureau office, the HB Visitor Information Center (located at the base of the Huntington Beach Pier) and at various restaurants and hotels throughout the city. 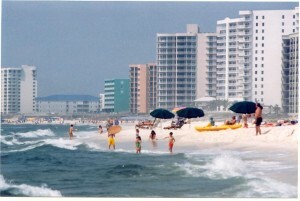 An online searchable page-turning version is also available at www.surfcityusa.com.